Traditional Spanish cuisine is down-to-earth, uncomplicated food that is based on the ingredients available locally or the crops grown regionally. Mountains run through Spain in several directions, acting as natural barriers to communication and making transportation difficult until the last half of the 20th century. This is just one of the reasons why cooking differs so much from region to region. Another is the fact that Spain was created by uniting many small kingdoms, each with their own traditions. Many dishes are prepared today using the same cooking methods and ingredients as they were two or three hundred years ago. Like the Romans, the Arabs, who conquered and lived in Spain for 800 years made fabulous contributions to Spanish cuisine, and their influence is seen in many recipes. Other dishes sprung up from European and American influences and were adapted to the Spanish taste. One thing is for sure, food in Spain is fresh, abundant, and full of flavor, and the Spanish love their food dearly. The two basic ingredients of all Spanish food are olive oil and garlic. However, because Spain has very distinct geographical regions settled by different ethnic and cultural groups, and because the weather varies from province to province, the regional cuisines are very different. 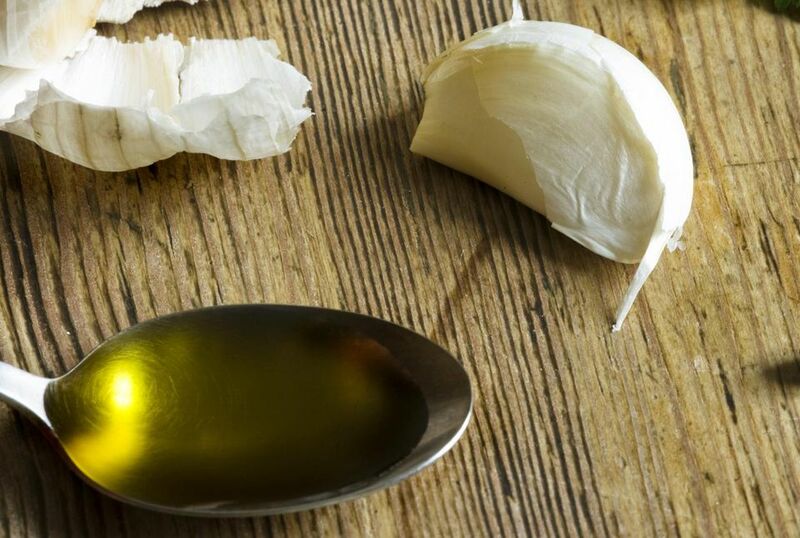 Many times the only common ingredients are olive oil and garlic! Olive oil: Spanish recipes either call for olive oil or lard, mainly olive oil. Extra virgin olive oil is worth the added expense. Spain is a leading producer of olive oil, and olives are grown all over the south of Spain in the region of Andalucia. Many typical Spanish dishes are fried in olive oil. Ham: or as the Spanish say, jamón is a very prized food. Spaniards take their ham very seriously and will pay a high price for top-quality ham. You will see different types on menus and in supermarkets, but typically it will be jamón serrano or ham from the sierra or mountains. Learn about jamón español, and where to buy it outside of Spain. Fish and Seafood: Because Spain is located on the Iberian Peninsula, surrounded on three sides by water, fresh seafood is always plentiful in the markets. The Spanish eat fish or shellfish daily. Everything from halibut to shrimp and even octopus and baby eels is common in the markets and on restaurant menus. Cheeses: Wonderful cheeses of every type can be eaten in Spain. Spanish cheeses are made from sheep, cow, goat, and mixed milks. Types range from aged cheeses, such as the manchego variety from La Mancha, to the soft, creamy cheeses such as tetilla from Galicia and everything in between. There are blue cheeses that mature in limestone caves, such as Cabrales. Cheese can be eaten as a tapa as well as during meals and for dessert. Sausages: Spanish love sausage—especially their chorizo, a pork sausage made with paprika. Again, there are many types of chorizo, from fresh and soft to smoked and aged. Every local market offers a variety, and Spanish families often make their own in the winter and hang them in the cellar or the attic to dry. The preparation and spices used in Spanish chorizo are very different from the chorizo made in Mexico or the Caribbean. Beef, Lamb, and Pork: All three types of meat are common and can be roasted, grilled over the coals, or sautéed in a sauce. Generally, Spanish prefer veal and suckling lamb and pig. Roasted meats are a popular dish for holidays and festive occasions. Eggs: Eggs are eaten daily either fried, deviled or in a Spanish omelet, called a tortilla espanola in Spain. They are an essential part of many recipes, including desserts and salads. Chicken: Chicken is very popular. It is prepared in every way, but most commonly is fried or stewed, although roasted chicken is sold "to go" in many small stores. Fruits and Vegetables: Spanish people eat lots of fresh fruit as snacks or as the last course of their meals. A fresh fruit bowl sits in every kitchen. Simple salads and sautéed vegetables are eaten every day. Popular dishes often include sweet peppers, eggplant, and zucchini. Legumes: Beans of all types are eaten regularly. Beans and chickpeas (garbanzo beans) have been a staple of the Peninsula for centuries and rivaled bread as the most commonly eaten food! The most famous Spanish bean dish is probably the cocido madrileno, which is a classic garbanzo-pork-sausage-noodle stew from Madrid. Nuts: Spain is one of the top producers of almonds, hazelnuts, and walnuts. Almond-based and milk-based desserts are very common. Turron, the almond nougat candy eaten at Christmas is probably the best-known of these sweets. Many Spanish recipes of Arabic origin contain ground almonds, and almonds were used for centuries to thicken sauces and stews. However, in Spain hazelnuts, not almonds, are the most popular nut mixed with chocolate. Herbs and Spices: Garlic, onions, and herbs such as oregano, rosemary, and thyme are used but garlic more than the others. Cocido, olla, pote, guiso, estofado, or escudella are the Spanish terms for stew. This is one dish that could be called characteristic of Spain, although each region has its own version. The Spanish do not only stew, they roast, fry, and saute many foods. It is not as common to bake or broil, although they do grill meats on a metal plate or a charcoal grill. As the Spanish say to wish everyone a good meal, "Buen provecho!"